Continuous positive airway pressure (CPAP) is a medical device for the treatment of Sleep Apnea. It is a commonly used form of treatment for patients with Sleep Apnea as it is very effective. It can be used in patients with mild, moderate or severe Sleep Apnea. You may be referred to our Centre following a diagnostic sleep study, either in your home or following an overnight sleep study. You do not need to be managed by one of the Sleep Centre Physicians to use Sydney Sleep Centre CPAP services. If you have another Sleep Physician managing your care, please bring to the Centre a letter or script from them detailing your CPAP pressure needs and our experienced CPAP therapists will initiate CPAP treatment with you. They will then work with you and your treating Sleep Physician to ensure your therapy is correct and comfortable. It is important that you see your treating Sleep Physician prior to the end of your treatment trial at Sydney Sleep Centre so they can prescribe the best long term management for you. Sydney Sleep Centre can then provide that management to you, whether it be a CPAP machine, an oral appliance, or perhaps dietary management for weight loss. We have experienced and highly trained CPAP Therapists who will help, support and guide you through your CPAP treatment, and our service will importantly provide you with education and follow up care. A CPAP machine is a small box connected to tubes through which air flows. The tubes are connected to a mask worn over your mouth, nose or both. Straps around the mask fit it to the face over the mouth or nose and is used at night during normal sleep. The CPAP device - A device which blows a gentle stream of pressure into your airway which helps keep it open. The Mask – a mask delivers the air from the device. They come in many different types and style. The mask is the most important factor of comfortable treatment. The Humidifier – The humidifier adds moisture to the air so that treatment is more comfortable. The Tubing – Tubing carries the air between the device / humidifier to the mask; tubing can be heated to reduce condensation. Sleep Apnea causes interruption of natural breathing during sleep due to obstruction. The CPAP machine uses compressed air to keep the air passage open so breathing continues normally. The pressure acts as a pneumatic splint to the airway – holding it open and preventing it from closing during sleep – while still allowing you to breathe normally. The appropriate pressure values of the CPAP machine are determined during a sleep study and are mostly based on the degree of Sleep Apnea. After a person’s sleep is observed, a recommendation is made by your Sleep Physician as to what pressure value is likely to be most effective. Continuous Positive Airway Pressure (CPAP) provides one constant air pressure throughout the night. Automatic Positive Airway Pressure (APAP) automatically varies the pressure throughout the night, by automatically responding to changing dynamics of the upper airway. Bi-level therapy is where the air pressure is delivered at 2 levels – inspiratory pressure and expiratory pressure – for effective therapy. How do I get a CPAP Machine fitted? You will be referred to our centre by specialist sleep physicians, GPs, ENT surgeons, and other specialist health professionals following a sleep study. You will meet with our CPAP Therapist who will make sure you are fitted with the optimal CPAP machine and mask. You will be guided through the CPAP machine and mask choices. We have CPAP machines and masks from all major brands and together with the CPAP therapist, you will be guided to the optimal machine and mask, balancing your needs of treatment, comfort and price. We provide an initial trial period of between 4-6 weeks so that you can test your equipment in the comfort of your home. Once you are comfortable with the choice of CPAP machine and mask, you can purchase the equipment from us. At Sleep Centres of Australia, we provide ongoing education and follow up as part of our service offering as we believe this gives you the best outcomes for a healthy life. You can book an appointment with our CPAP Therapist by contacting us on 02 9252 6144. For further information, please see our CPAP patient information brochure. 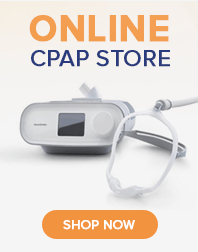 What is CPAP (Continuous Positive Airway Pressure) ?